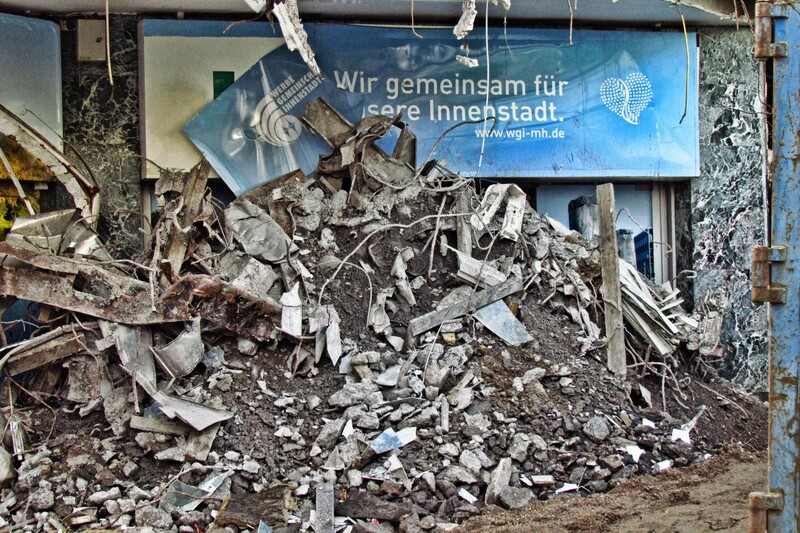 There was already a huge pile of rubble at the main entrance of the Kaufhof department store. 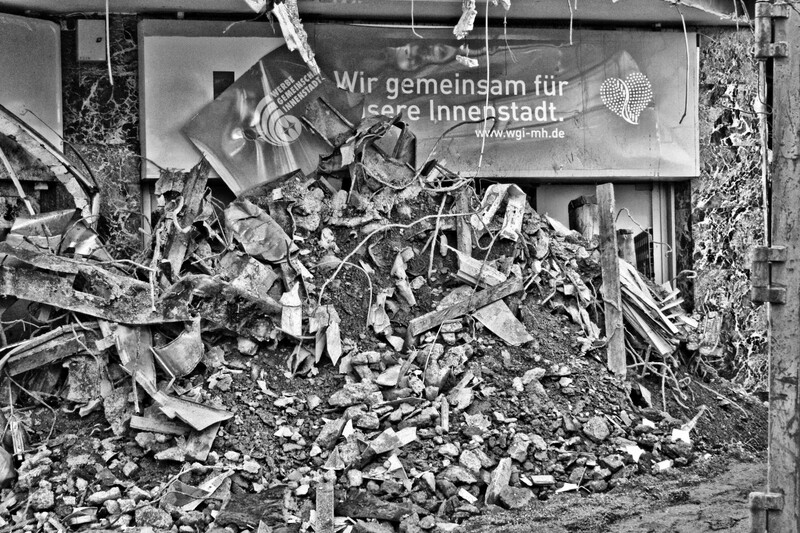 The sign ironically says ‘We together for our inner city’ and was from an advertising initiative that wanted to improve the shopping situation from the days when there were still plans to revitalize the abandoned building. You can actually see a corner the original Kaufhof banner in the upper left.